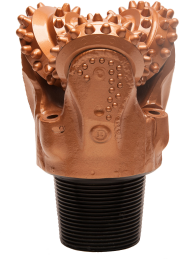 Thompson International/Drilco Industrial has over 60 years of experience providing quality drilling tools for many applications; mining, water well, construction, quarry-aggregate, exploration, monitoring, shaft, limited access, or your custom requirement. Our products are sold and used worldwide through a network of quality representatives. If you are interested in purchasing or distributing, an associate is standing by to assist with any of your drilling needs. PO Box 656 Henderson, KY 42420 U.S.A.
Take advantge of this special offer!